I’ve been a photographer for well over 20 years (the last 10 have been devoted to fine art photography). There’s nothing that I enjoy more than sharing my experience with others and helping them explore their creative ambitions in photography. Join me at one of my events for what will be a truly unforgettable experience: “Photography, Inspiration and Creativity”. IrisWork workshops are suitable for intermediate levels of experience and higher. Have you ever stood alone in the middle of the night surrounded by Joshua Trees and their ghostly moonlight shadows? With this workshop, you will learn about the amazing depth and intensity of the colors that you can get at sunset, twilight and night-time. You’ll learn about long exposures by having the full control of the manual mode of your camera. You will learn composition and how to develop your fine art sense and creativity, how to get things like stars in your images and how to create a truly surreal color spectrum (see full workshop outline below). Pack up your camera bag, bring a tripod, and don’t forget to bring a powerful flashlight to help you focus your camera at night on the subject of your choice. This workshop is an experience of a lifetime and a tremendous opportunity to refine your photography and your individual vision. Understanding shutter, aperture, ISO in the manual mode. Depth of field and focus. Composition in one shot introducing texture, colors, patters, focal point, blur, light and shadows. Composition and visualisation in multiple shots (Introduction to panoramic photography). Bracketing exposures and introduction to HDR. Define the best time to shoot landscape. Working at sunrise and sunset front lit and back lit. Using the moon light as a light source (full moon). Enhance your creativity by shooting photographs in an amazing location. Find great subjects to make great photographs. Braking the rules and letting go of the technique to be more creative. Group critique of your works-in-process during the workshop. Outdoor Slideshow where students will explain their approach and vision. Students will get a one on one coaching during the “free spirit” afternoon session. How to think in a fine art sense when shooting. How to create and put together a portfolio of images. Participants will need to know their own equipment and how to set up manual mode and raw settings on their own camera (bring camera’s manual if needed). Participants are expected to make their own arrangements regarding travel to and from the hotel; transportation to and from any shooting locations will be provided by IrisWork. International visitors can travel to Palm Springs through Los Angeles International (LAX) or Bob Hope Airport (BUR) in Burbank. 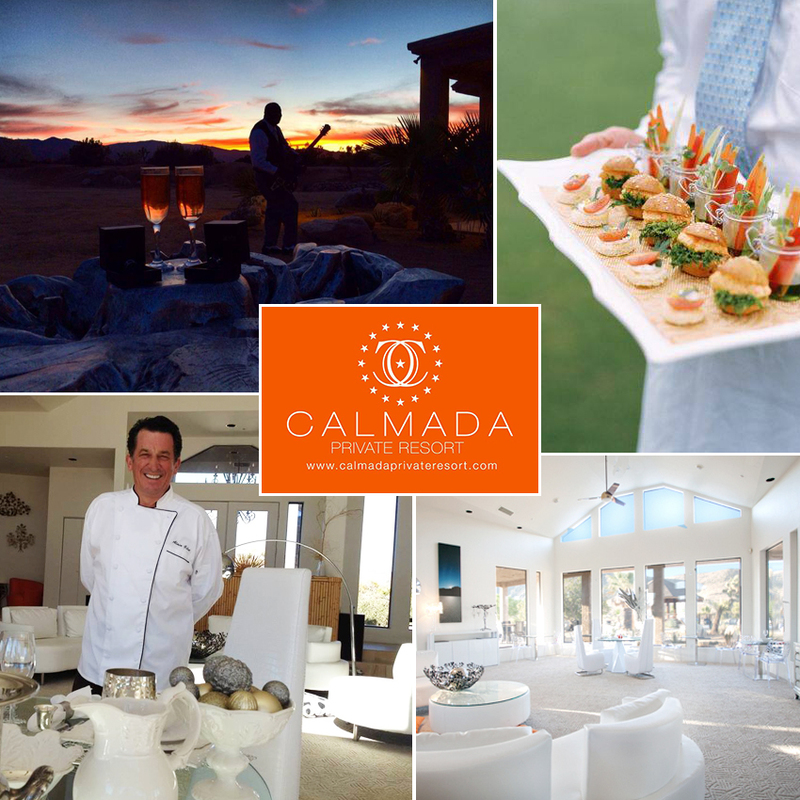 Lunch and dinner will be catered by Calmada Boutique Hotel (Please inform us for any vegetarian meals request). If you intend to bring a non-photographic guest, spouse or partner, they may join the group during shooting sessions and meals but they won’t be involved in classes and critics session. Additional cost for guest is $225. We’ll be working with available light meaning early morning sessions (ready to shoot by sunrise) and sunset to moonlight late into the night sessions. You will have some downtime between the photographic sessions, classes and critics to enjoy your stay and the amenities of Calmada Boutique Hotel and its beautiful surroundings. We will be wrapping up the workshop with a late lunch on Sunday at the famous “Pappy and Harriets” Saloon located in Pioneertown (included in the workshop fee). Calmada Boutique Hotel and Resort is small and luxurious Boutique Hotel with 6 bedrooms nested in a private and secluded 40 acres ranch near Joshua Tree National Park, in Southern California. Large swimming-pool. Private Heliport. Breakfast, Lunch and Dinner. Located 10 minutes to Old Town Yucca Valley, 15 minutes to the main entrance to Joshua Tree National Park, 45 minutes to Downtown Palm Springs, 60 minutes to wintertime fun at Big Bear Ski Resort and just over two hours to Los Angeles and San Diego. Several amenities are available to help guests relax, including a hot tub and a tanning bed. Massage services are available upon request and with a reservation. Meeting or banquet facilities and concierge services are also available at this hotel. Private Chef, Alain Gilot, formerly the Executive Chef for Bruce Willis and Demi Moore (He was also a cook for presidents Ronald Reagan and Bill Clinton) will prepare amazing Breakfasts, lunches and dinners during your stay. Desert weather is known to be hot during the day with a great amplitude and can get very cold at night during winter. Please bring sweaters, warm jacket, light gloves, and hiking shoes or boots (very important as we will walk around cactuses, rocks and wildlife during the day and during the night), hat, sunglasses, sun lotion.